A former business school dean and financial bond analyst is the new interim dean of the University of Houston-Victoria School of Business Administration. James Jordan-Wagner started his position at UHV on Monday, replacing former dean Farhang Niroomand, who resigned at the end of August to teach after more than eight years of leading the school. “Dr. 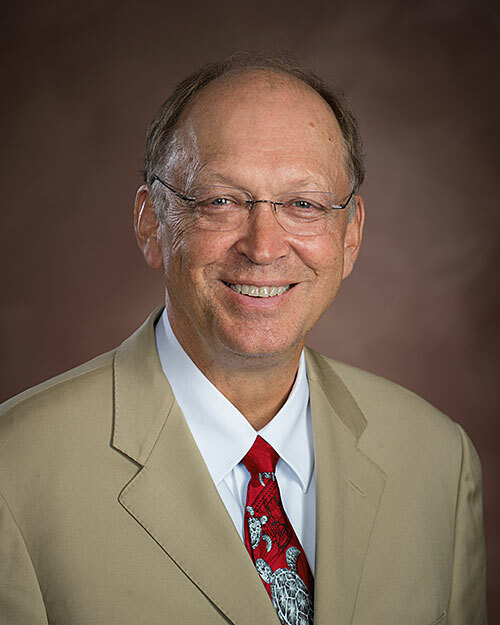 Jordan-Wagner has extensive experience as a business school dean and will provide a valuable outside view about how we can continue to strengthen the UHV School of Business Administration,” UHV President Vic Morgan said. Jordan-Wagner served as dean of the College of Business at Tennessee Technological University for six years before retiring in 2014. Under his tenure, the college was re-accredited by AACSB International — The Association to Advance Collegiate Schools of Business, a distinction held by less than 5 percent of all business schools, including the UHV School of Business Administration. He also helped increase student enrollment through aggressive student recruitment and retention programs. In addition, he served as interim dean of the W. Frank Barton School of Business at Wichita State University from 2014 to 2015 and was a faculty member and then chairman of the School of Business at Eastern Illinois University from 1990 to 2008. He also worked in the fixed income markets for three years. Jordan-Wagner lives in Paris, Ill., with his wife, Diane, a physician in private practice, and will split his workweek between the UHV main campus in Victoria and UHV Katy, which offers bachelor’s degrees for transfer students and master’s degrees in Greater Houston. He also plans to continue his position as treasurer of the Luther Legacy Foundation in Paris. Jordan-Wagner holds a doctorate in finance from the University of North Texas and bachelor’s and master’s degrees in psychology from Central Michigan University. During his time as interim dean, he hopes to increase enrollment in the business school and raise awareness. “I’d like to look for ways for the school to have a more public face in the community, perhaps by having faculty members help businesses that have been affected by Hurricane Harvey,” Jordan-Wagner said. Morgan expects Jordan-Wagner to serve as interim dean of the UHV School of Business Administration for about six months. A national search for a new business school dean will begin soon.